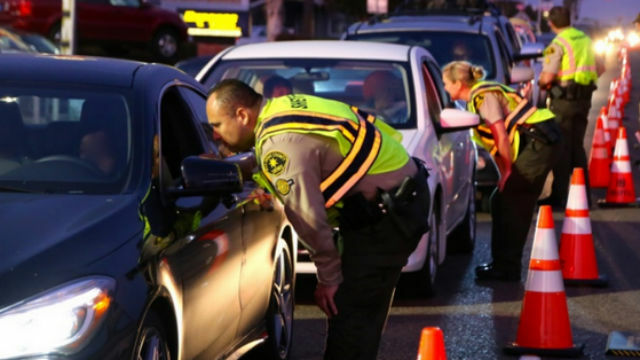 As the Christmas holiday enforcement period progressed, California Highway Patrol officers were continuing to arrest more people than last year for suspected drunken driving in San Diego County, with the number of fatalities reportedly down, the agency said Monday. Between Friday, Dec. 22 at 6:01 p.m. to 6 a.m. Monday, officers arrested 46 people for suspected drunken driving violations, up from 41 during the same time period in 2016. No fatalities have been reported this year in the county, compared with three fatalities for the same time period a year ago. The story was the same statewide, with suspected drunken driving arrests up and fatalities down. To date in California over the long Christmas weekend, there were 790 arrests in California, up from 535 a year ago. Thus far statewide, there have been 11 fatalities reported, compared with 20 a year ago. DUI arrests were only those made by CHP officers. Fatalities are for all law enforcement agencies.